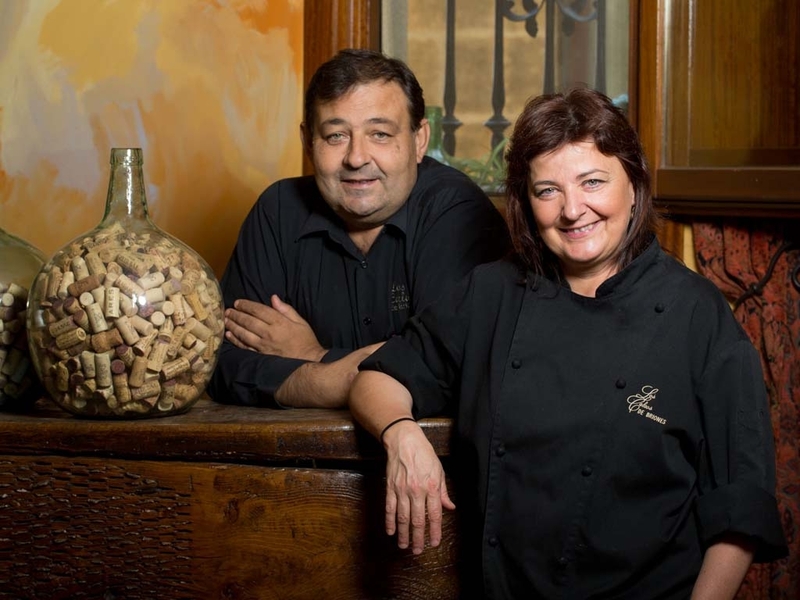 Los Calaos de Briones is a restaurant where you can eat well, unhurried, and enjoy the excellent products offered by La Rioja. 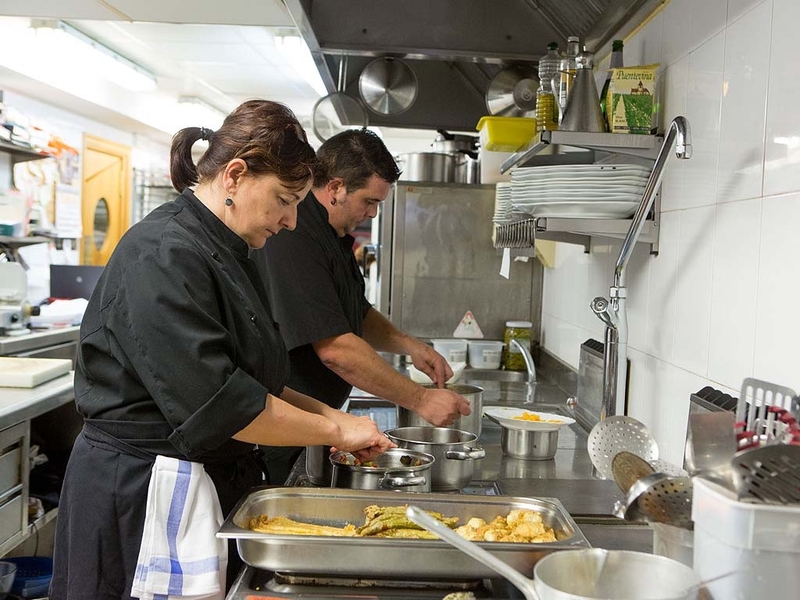 The kitchen is run by Nuria Couto, a chef trained at the Mendizorrotza School of Hospitality in Vitoria. 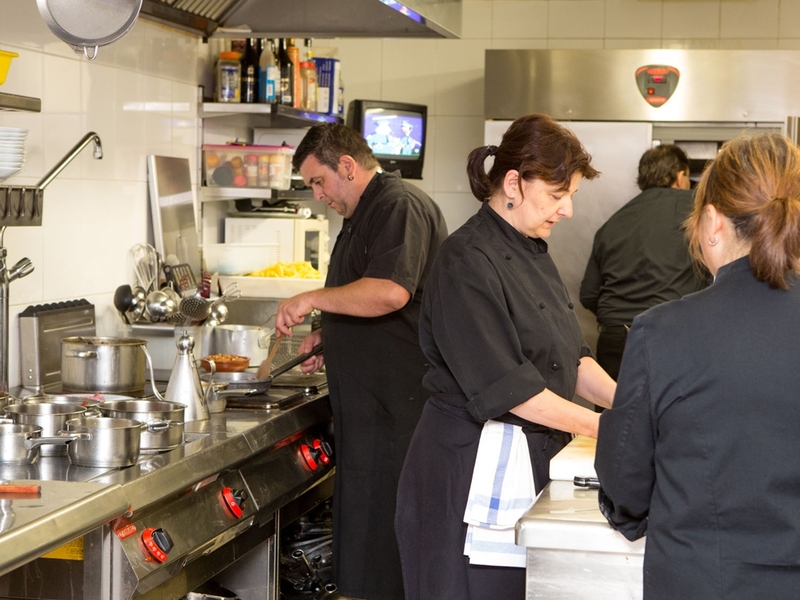 Nuria is committed to quality cuisine based on excellent raw materials. 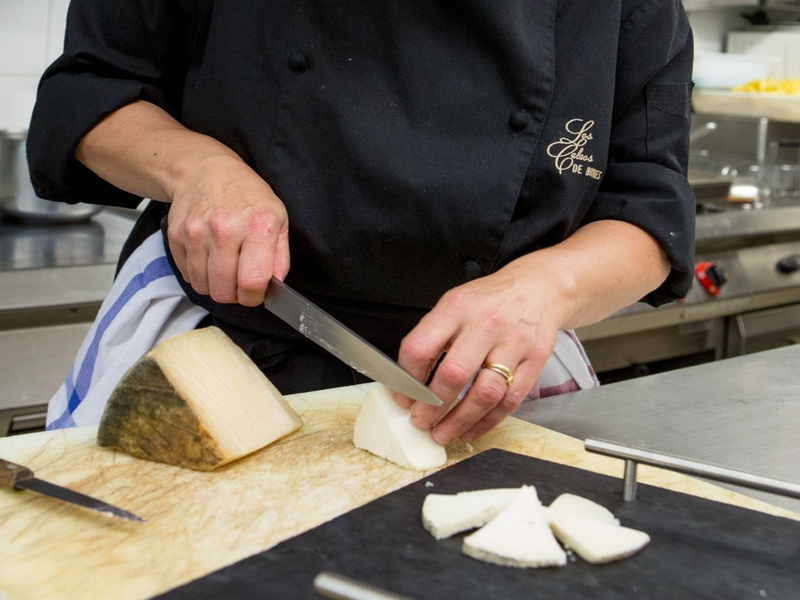 She uses seasonal products like no one else, with recipes prepared with care and craftsmanship that preserve their characteristics and peculiarities. 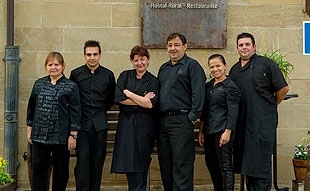 The restaurant serves traditional La Rioja cuisine prepared contemporaneously. Vegetables are prepared with special are and in winter you can taste delicious hotpot dishes typical of this region. 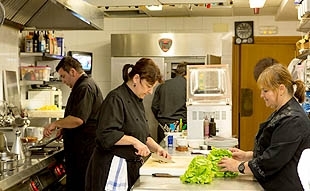 For main courses, there is a wide range of meat and fish, besides the usual special products. Roast lamb and suckling pig are one of the specialities of the house, and the typical lamb chops are a must too. The range of cuisine is completed by an extraordinary selection of homemade desserts amongst which goxua or cottage cheese with raspberry pie stand out. As is to be expected, the restaurant has an excellent wine cellar which houses a generous range of La Rioja wines and a wide selection of wines from other designations of origin. 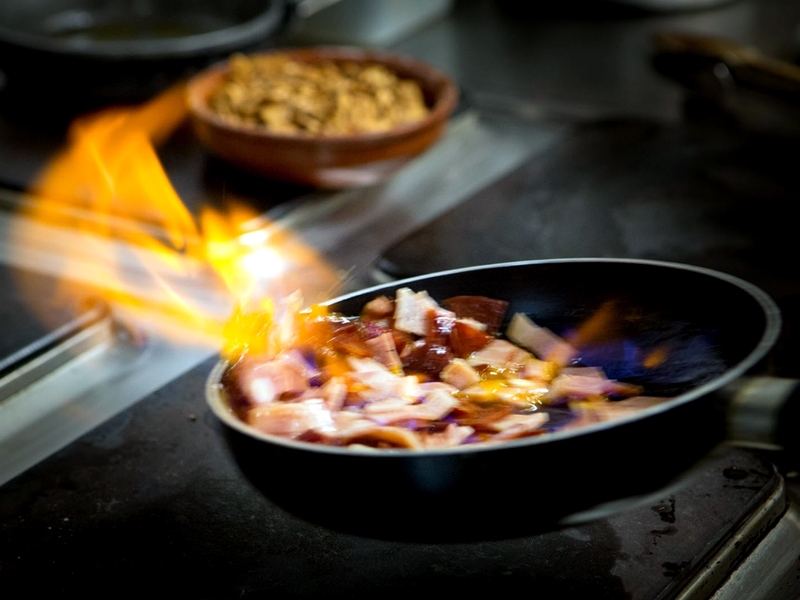 La Rioja cuisine stands out for the simplicity of its dishes and the high quality of its ingredients. Great tasting cuisine based on seasonal produce from its fertile garden: legumes, vegetables and greens, as well as naturally-reared meats, game and sausages. La Rioja wine is quite simply the best companion to taste a typical La Rioja menu.